A while ago I made a great investment when I bought a breadmaking machine. I have used it so many times since then that it has paid for itself many times over. It's so nice to have freshly baked bread in the house. 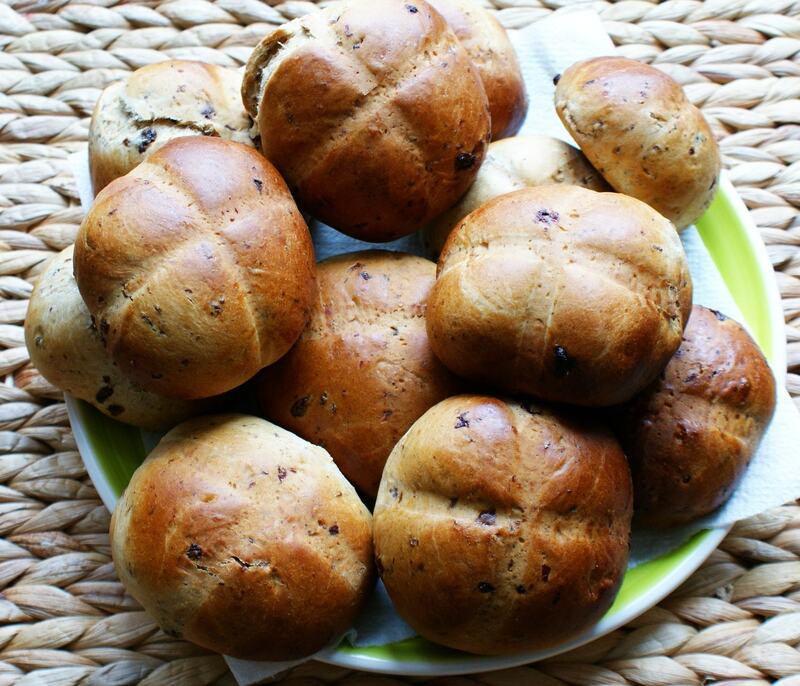 The smell of baking bread that fills the whole house - no need for air freshener. And of course it tastes so much better when you make it yourself. I couldn't resist baking hot cross buns this Easter. And the little breadmaking machine (and it's recipe book) didn't disappoint. 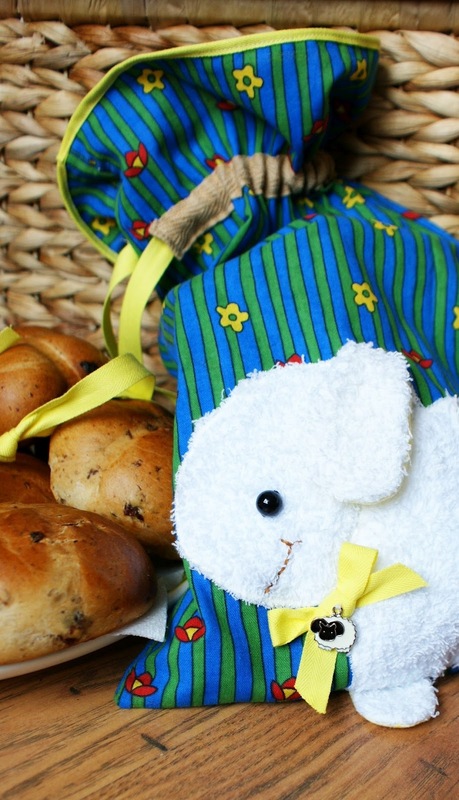 This recipe requires the use of a breadmaking machine. Once you put all the ingredients in the breadmaking machine select option for making a dough. According to the recipe you should then divide the dough into 8 - 12 pieces, shape and flatten slightly, glaze with egg and milk (but not the cross), cover and allow to rise for 30 minutes, then bake in the oven. When the dough making program is finished, take the risen dough out of the bread tin and put it onto a slightly floured surface and knead it for a while until it feels firmer and more elastic in the hand. Then leave it covered on a plate in a warm place to rise naturally for about 30 minutes. Then knead again and separate and shape the dough into 12 pieces. Put them on a baking tray (making sure you have sufficient space around each to allow for their rising), flatten slightly and glaze with egg and milk (not the cross). To avoid getting the glazing onto the cross I cut out thin stripes of baking paper and put them on top of the buns as a cross ( I leave the strips of paper on the buns while baking them). Cover the tray and allow the dough to rise again for 30 minutes. Preheat oven to 190C (375F) and bake for about 18 minutes. 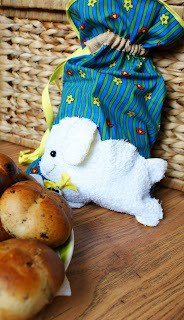 note: instructions on how to sew the bag you see in the pictures above can be found on the posting "Easter Sewing Project - Cute Easter Bag".